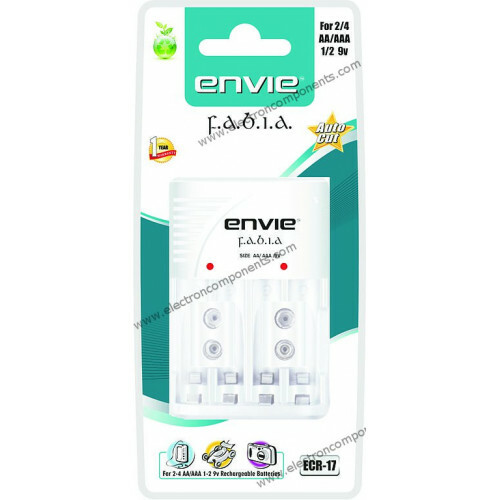 Envie Charger can charge AA, AAA and 9v Ni-MH/Ni-Cd rechargeable batteries. At one time 2/4 AA or AAA batteries and 1 or 2 9v size batteries can be charged. 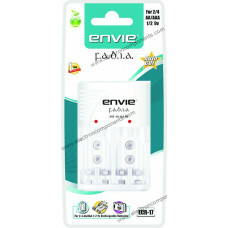 It an high efficient quick charger with autocut feature for long lasting batteries life. Comes with Foldable Plug and ideal for travel type charger.